Desc: Landstrom's Black Hills Gold Opal and leaf necklace. 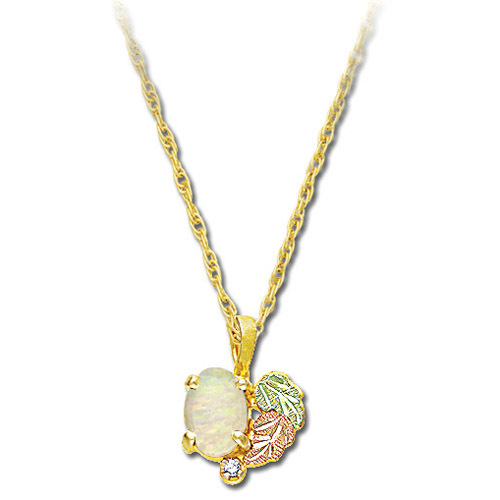 The Opal is synthetic, lab grown, and is mounted beside the leaf pattern. The diamond is mounted as an accent. Made in the United States of America.